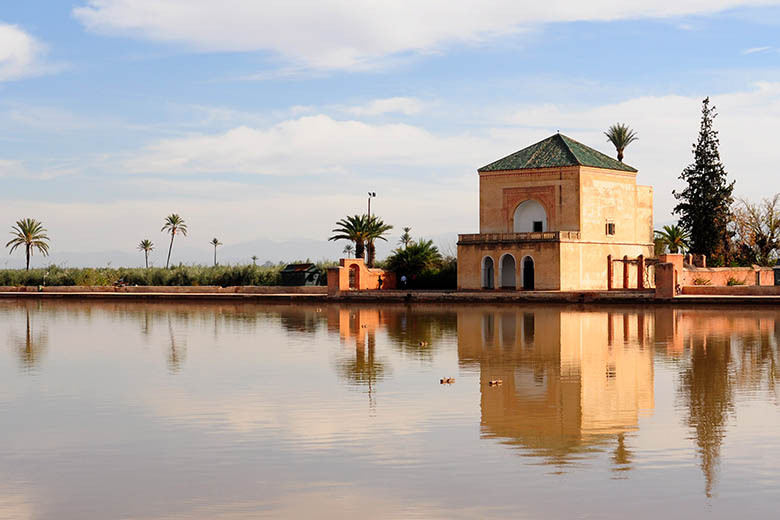 The Riad is conveniently located close to most of the popular tourist attractions in Marrakech, including Jma El Fna Square, Madrasa Ben Youssef, Bahia Palace as well as the Souks. This page lists just some of the many attractions that we would recommend you to visit. Marrakech's labyrinth Medina (Old City) district is the star attraction here. The narrow alleyways are a kaleidoscope of colours, scents and sounds, and bound to be the sightseeing highlight of your trip. 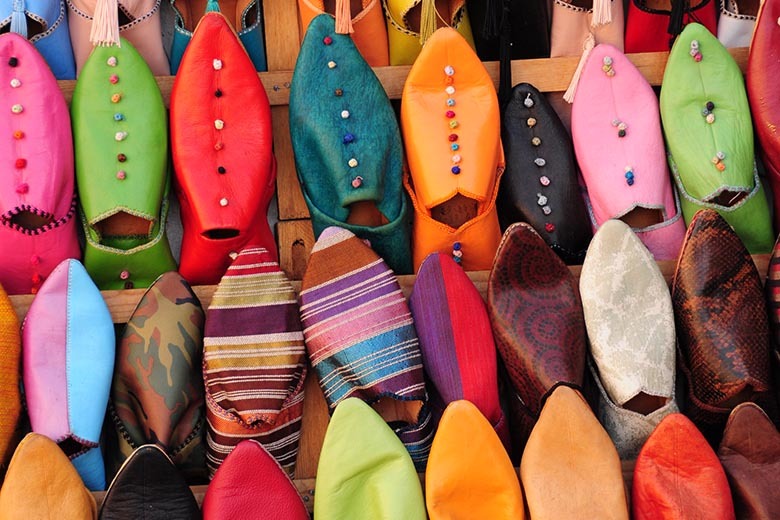 As well as simply wandering (and getting lost) amid the bustling maze, there are myriad shopping opportunities where you can put your haggling hat on and barter to your heart's content. 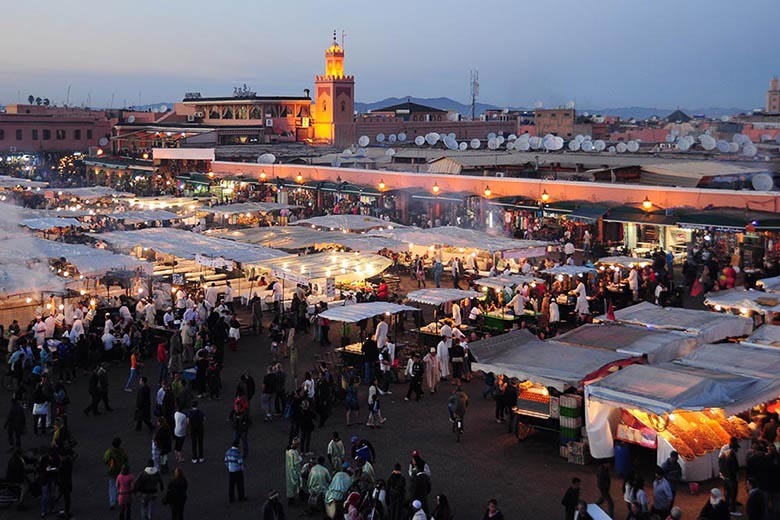 Jma El Fna is the centre of Marrakesh life and is a vibrant hub of bric-a-brac stalls, musicians, storytellers and snake charmers that never seems to rest. Here the entire spectrum of Moroccan life enfolds before you. It's also easy to escape the crowds to one of the many surrounding rooftop cafes and restaurants where you can survey the crazy scene from above. 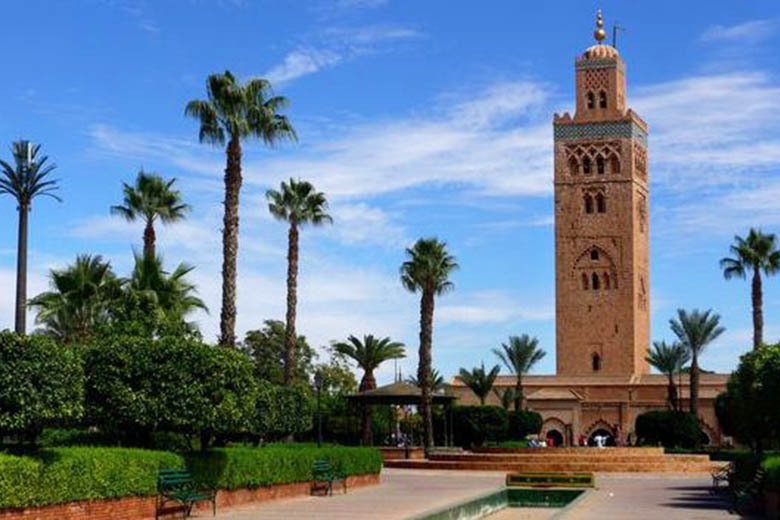 Koutoubia Mosque is Marrakech's most famous landmark with its striking, 70 m tall minaret visible for miles in every direction. The mosque was built in 1162 and is one of the great achievements of Almohad architecture. Non-Muslims are not allowed into the prayer hall. Built in 1565 by the Saadians, this Madrasa (Islamic school of learning) is the largest theological college in Morocco. The warrens of student cells, once home to 900 pupils, are clustered around small internal courtyards in typical Islamic architecture style. 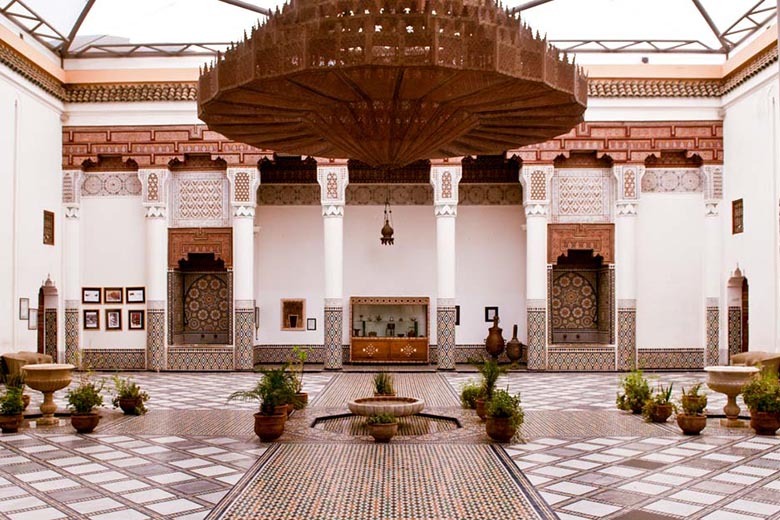 The fine zellige tiling, stalactite ceilings and Kufic inscriptions used as decoration across much of the building interior are the highlights of a visit to this Medina attraction. This magnificent palace was built in the 19th century as the residence of the Grand Vizier Bou Ahmed, who served Sultan Moulay al-Hassan I. The interior decoration is a dazzling display of zellige tiles, painted ceilings and ornate wrought-iron features showcasing the opulent lives of those high-up in the sultan's favour at that time. The palace is surrounded by sumptuous flower and tree-filled gardens. This museum is home to a wonderful collection of Berber jewellery in finely worked silver, oil lamps from Taroudant, pottery artifacts, embroidered leather, and marble. 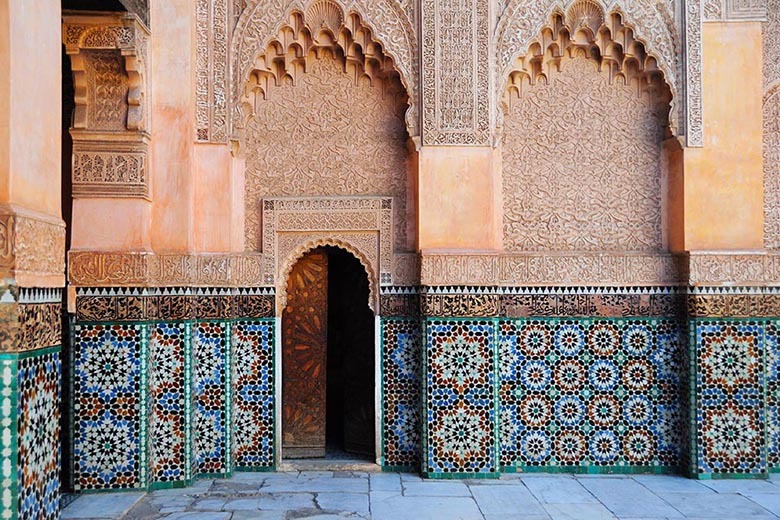 There is also a display of Moroccan carpets and an amazing collection of traditional Moroccan door and window frames, which highlight this country's local architecture styles. 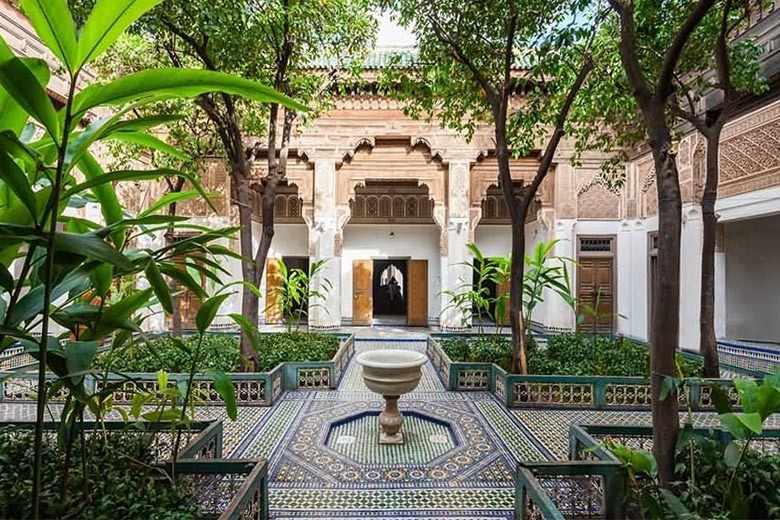 The riad-museum Le Jardin Secret (The Secret Garden) is one of the largest and most ancient riads in the Mouassine quarter and just a few steps away from the Mouassine fountain and Mouassine Mosque. It comprises two large gardens and one of the highest towers of the medina. 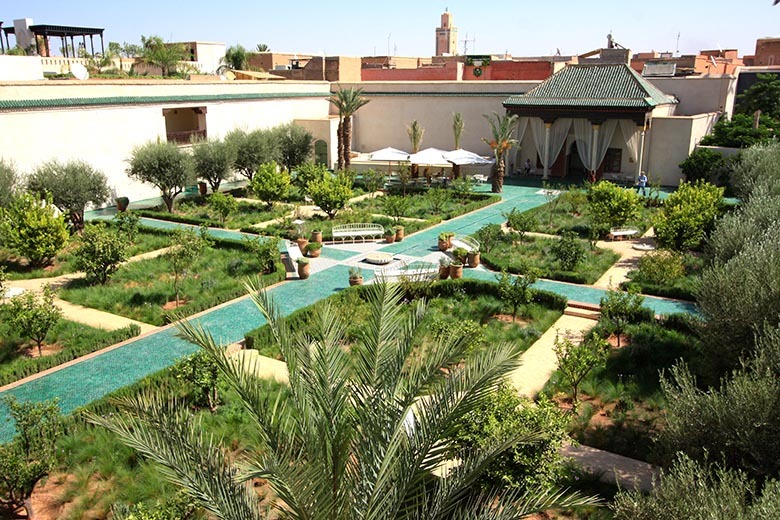 The museum provides you with a wealth of historical information about Marrakech's architecture, water, and gardens. You will also find a boutique, a bookshop and two cafes inside the complex. The Marrakech Museum has an eclectic collection, which ranges from contemporary art to Qur'anic inscriptions with local ceramic work, textiles and coins thrown in for good measure. The real highlight is the building the museum is housed in - the Dar Me'nebhi was built in the early 20th century and the architecture is a harmonious blend of local North African form with Portuguese elements, and features an extremely impressive central courtyard area with lavish chandelier. 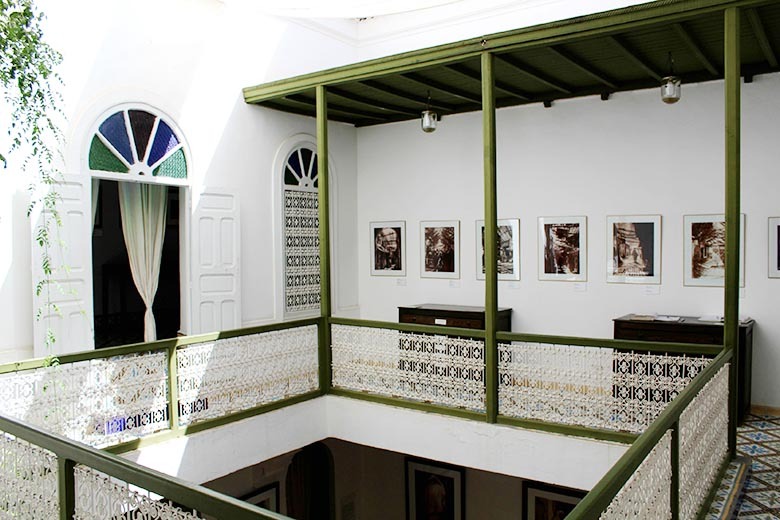 The Photography Museum has a collection of over 4,500 old photographs covering the period 1870-1950 and provides a unique and fascinating field of insight into various historical and cultural aspects of Morocco. The museum holds exhibitions of photos from its collection on different themes, which change every six months. 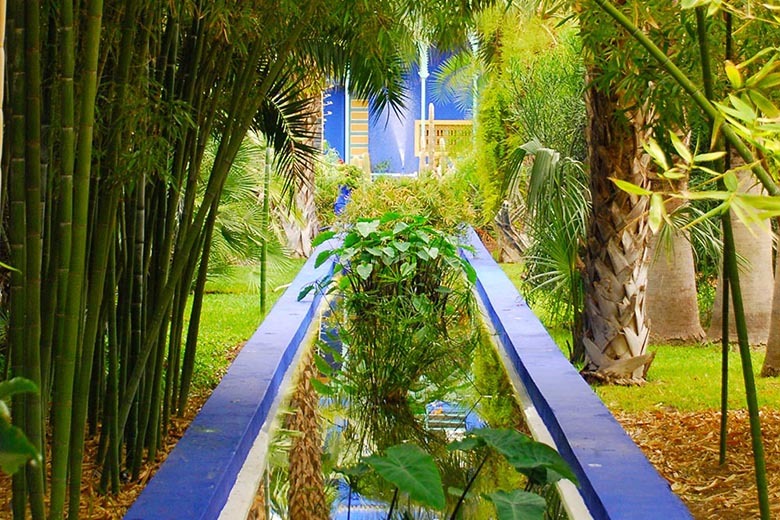 This enchanting 12-acre botanical garden is one of the most visited sites in Morocco and is full of cacti, palms and ferns, It was designed by the French artist Jacques Majorelle in the 1930s and has been owned by the late French fashion designer Yves Saint-Laurent since 1980. A small pavilion on site has a small but interesting collection of Islamic art. 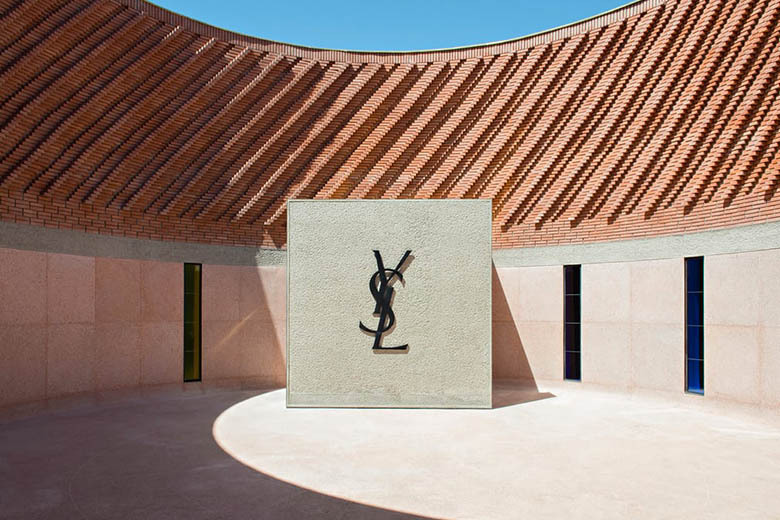 The Musée Yves Saint Laurent opened in October 2017 and is dedicated to the late fashion designer who was well known for his love of Marrakech. The building, which is located directly behind the Majorelle Gardens, is designed to reflect the curves of the designer’s work and features Moroccan stone and architecture that lends itself to the hot climate. 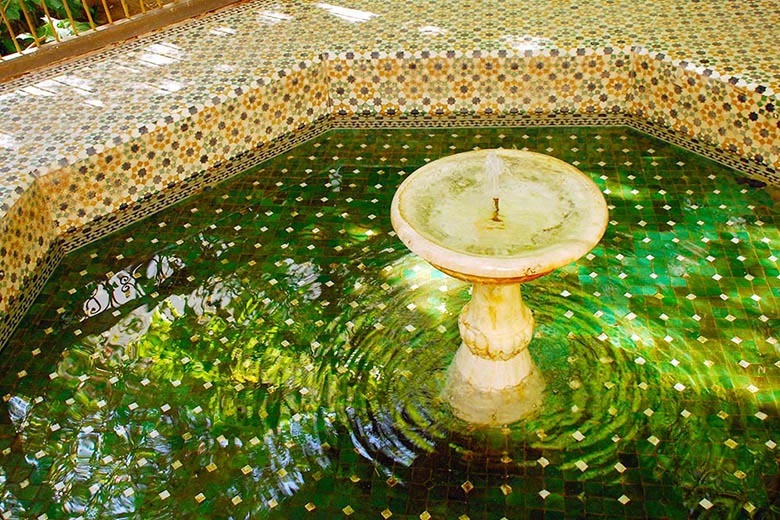 This inner-city garden is a bubble of serenity hidden right in the heart of Marrakech. Built in the late 19th century, it's a local-favourite spot for getting out of the hustle to enjoy some peace and quiet and the large pool in the center of the garden has a fine pavilion. For many local Marrakech families the gardens are picnicking central and on weekends can be a great place to witness local family life.